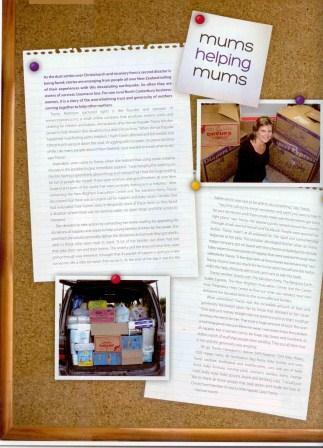 My business has been been lucky to have news articles printed about my business. One of my favorites was the large article that featured myself, my family and my business in The Christchurch Press, weekend Mainlander section. My strong belief in wool fibre and my childhood is the strength of this business and here you will find this story coming through on many of these articles. Babies staying and born at Rangiora Maternity hospital will each receive some warm merino socks. Q & A with online retailer Cosy Toes. What it means to be a small business with tips and advice from Tracey. Opinion piece about NZ farm ownership. Further awards for Cosy Toes in The David Awards. Turning a dream into a thriving business was... As Simple As Socks!